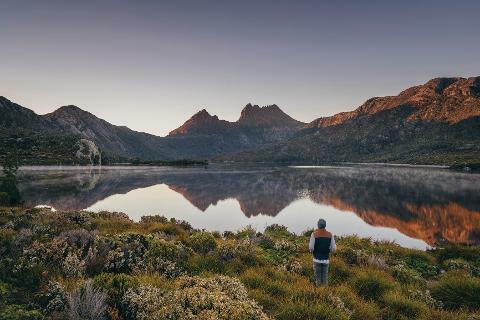 The unique shape of Cradle Mountain creates a dramatic vista that’s impossible to miss as visitors walk along the shores of the many lakes, river gorges and waterfalls that decorate the surrounding areas. 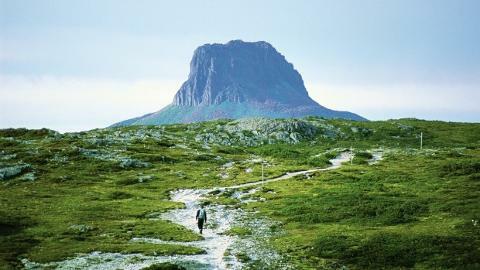 Sightseers flock to this area year-round to undertake multiple-day treks that wind their way through the mountain’s peaks and valleys. The popular 6-day Overland Trek leads adventurers through ever-changing scenes of natural beauty that starts in Cradle Valley and contorts around waterfalls and grassy plains, through thick jungles and across rushing rivers, to finish at Lake St. Clair, the country’s deepest natural lake. 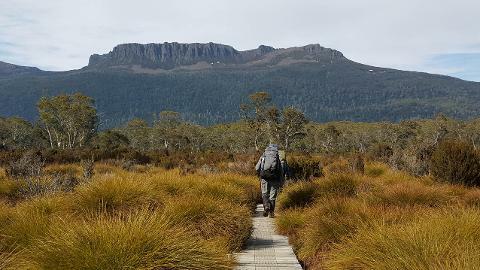 In addition to the wide range of walk and trek tours available, Cradle Mountain can be enjoyed in a number of different ways. 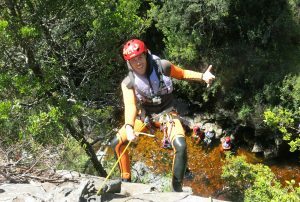 Horseback riding, canyoning (summer only), quad biking, canoeing (summer only), fly fishing (seasonal), mountain biking, boating tours on Lake St. Clair, or wildlife tours could be an exciting adventure for the entire family. 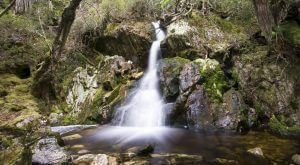 Or even consider flying over the area in a helicopter to get a bird’s eye view of this stunning landscape! There are a few popular places to choose from in the area, from a bistro to a high-end restaurant. 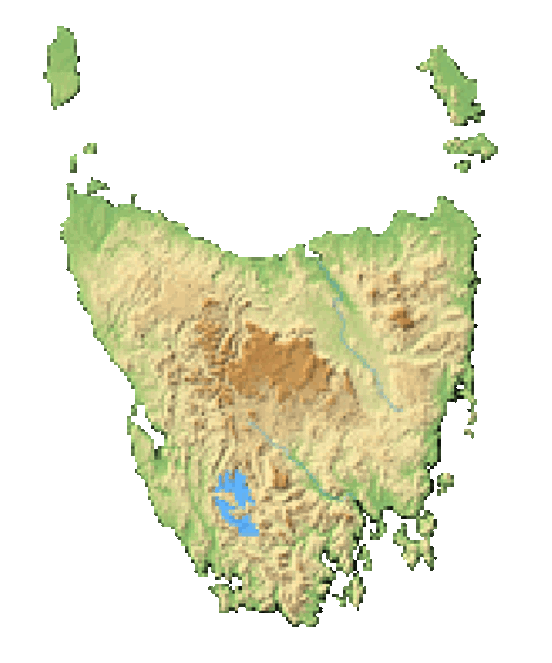 Some tourists choose to bring groceries with them they picked up in Launceston, Deloraine or Sheffield. 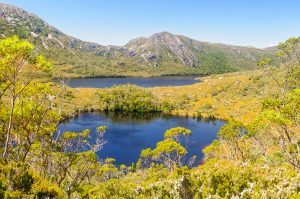 Among the many attractions to Cradle Mountain is its flora and fauna, the most talked about of which is the wombat. 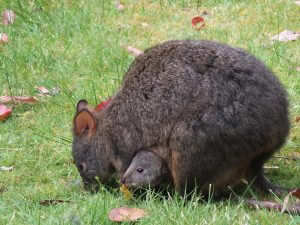 It’s also possible to spot Pademelons (imagine a cross between a bunny and a kangaroo), Tasmanian Devils, platypus and Echidnas (spiny anteaters). Bird watchers will delight in the area’s multitude of winged creatures that glide across the sky. Highly venomous tiger snakes are also known to slink their way around their mountain, making the need for a tour guide quite apparent. A wide diversity of fungi makes up a vital element of the park’s biodiversity. 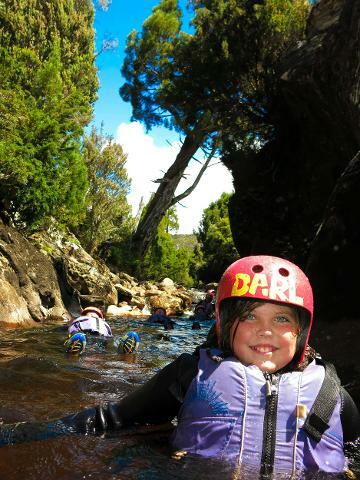 Image thanks to: Tourism Tasmania & Masaaki Aihara.